Howlin' Wolf Records: SIX STRINGS: Broad Green Pictures: "THE GOOD CATHOLIC"
From Executive Producer David Anspaugh, award winning director of Hoosiers and Rudy, comes the charming romantic comedy THE GOOD CATHOLIC, debuting on Blu-ray™/DVD combo pack and DVD October 24, and currently available on VOD and Digital HD. Written and Directed by Paul Shoulberg (Walter), THE GOOD CATHOLIC stars Zachary Spicer, Wrenn Schmidt (“Outcast”), John C. McGinley (“Scrubs”) and four-time Emmy Award® nominee Danny Glover (Lethal Weapon franchise) in the story of a small town priest (Spicer) who suffers a crisis of faith when he finds himself attracted to a parishioner (Schmidt). 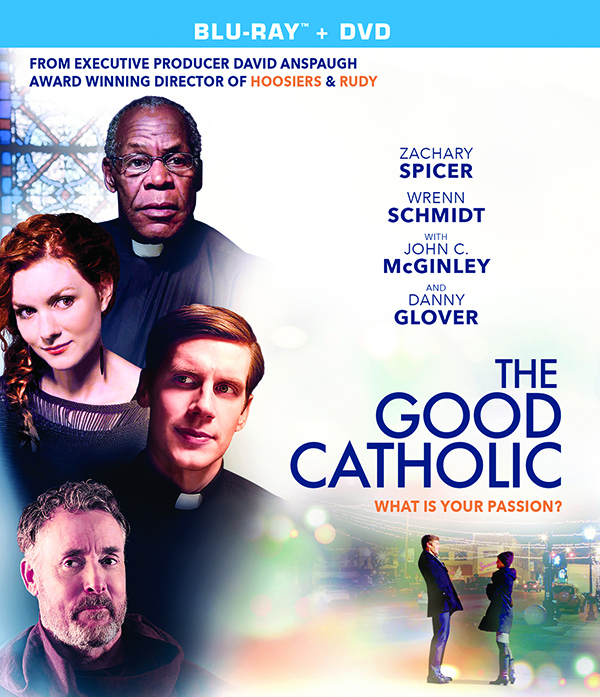 THE GOOD CATHOLIC was inspired by the true story of Writer/Director Paul Shoulberg’s parents and serves as a tribute to Shoulberg's recently deceased father Donald Shoulberg, who was a small town priest who fell in love with his mother who was a practicing nun. The film won the Panavision Spirit Award at the Santa Barbara Film Festival for Best Feature Film of 2017, as well as the Leonardo Da Vinci’s Horse Award for Best Screenplay at the Milan International Film Festival. Daniel (Zachary Spicer) is a young, idealistic priest who loves his work. While he struggles to find balance between the dueling philosophies of his mentors, no nonsense Father Victor (Danny Glover), and a chain-smoking Franciscan Father Ollie (John C. McGinley), his passion for his calling never waivers. And then he meets Jane. After a chance encounter during a late-night confession, the mysterious Jane (Wrenn Schmidt), opens up Daniel’s world to an entirely different set of possibilities. And problems. As new bonds form and old ones are tested, Daniel must decide what his true calling really is — and whether or not he has the courage to answer it.